If you are having building work or renovations carried out at home then it is worth noting that you may need to let the dust settle for up to two weeks after the builders have gone before your property can be cleaned to a professional standard. Depending on the scale of work being undertaken, everything from carpets, walls and windows to cupboards, work surfaces and bathrooms may need cleaning. As soon as the builders have gone it is only natural for people to want to rush in and clean up so that they can make the most of their newly improved home. However, waiting until the air is clean will ensure that any time spent cleaning is not wasted. Things such as carpets and upholstery should be cleaned straight away to avoid a build up of dirt, but as it can take up to two weeks for the volumes of dust in the air to settle. ServiceMaster brands Merry Maids and ServiceMaster Clean carry out builders cleans. This ensures that each property is cleaned to the highest possible standard. We will carry out a site visit beforehand to assess the work required. ServiceMaster Clean will tend to the heavier work including the removal of any remaining rubble and debris left by the builders. They then get to work thoroughly cleaning the flooring, including tile, carpet, laminate, wood, stone or marble. Flooring is cleaned using professional processes including spot treating any stubborn marks. 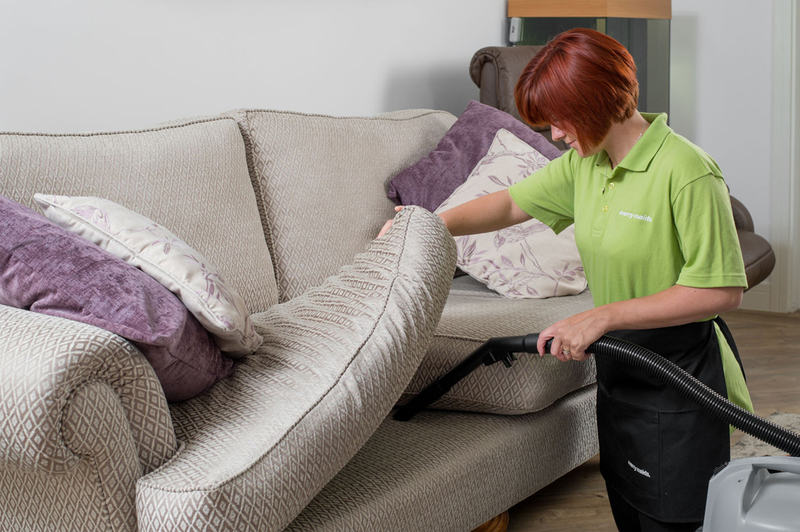 Lastly ServiceMaster Clean will tackle any upholstery that needs cleaning such as chairs sofas and window dressings which can all be cleaned on site minimising the disruption to the homeowner. Once ServiceMaster Clean have removed all the tell tale signs that the builders have been in, Merry Maids then come in to give the entire property a top to toe deep clean. The Merry Maids deep clean will include everything that you would expect from a regular clean such as dusting ornaments, electrical goods, furniture and skirting boards, vacuuming carpets and soft furnishings, mopping floors where necessary, cleaning and deodorising bathroom suites, tiles and mirrors and deodorising, cleaning kitchen surfaces, cupboards and white good exteriors. But in addition for a clean of this nature where a deeper clean is required special attention can be paid to other areas such as cleaning out kitchen cupboards, vacuuming curtains, washing walls, cleaning inside windows, cleaning and defrosting fridges and freezers. ServiceMaster Clean and Merry Maids have businesses across the UK and can tailor one off builders cleans, carpet and upholstery cleaning or regular domestic cleans to suit your needs. To find your nearest business find your local Carpet Cleaning Specialist or find your local Merry Maids Service.